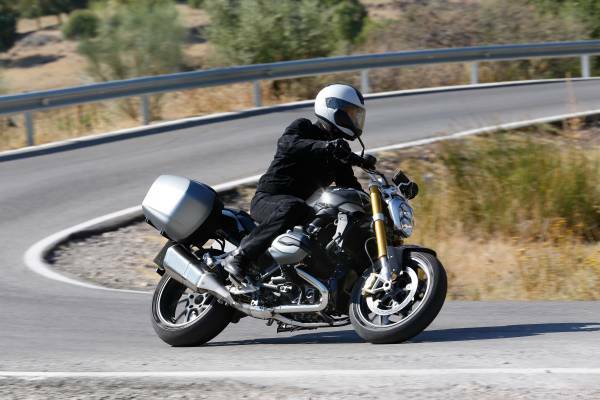 We’re heading out to ride the new model R1200R next week, in the meantime, we can look at the prices and some of the technical highlights. Three variants will be available, the first is the base model R1200R, which will come with ABS and ASC (Active Stability Control) as standard, as well as two riding modes, Rain and Road. Priced at £10250 and available in any colour you like as long as its cobalt Blue, the R1200R is the cheapest of the three versions you’ll find. Next up is the R1200R Sport, the most dynamic of the trio. Priced at £11060, it features everything that the base model has, and plenty more. DTC (Dynamic Traction Control) and Riding modes Pro which adds to further riding modes, Dynamic and a user defined mode. Gearshift Pro also features, allowing clutch less shifts up and down the gearbox, which is nice. 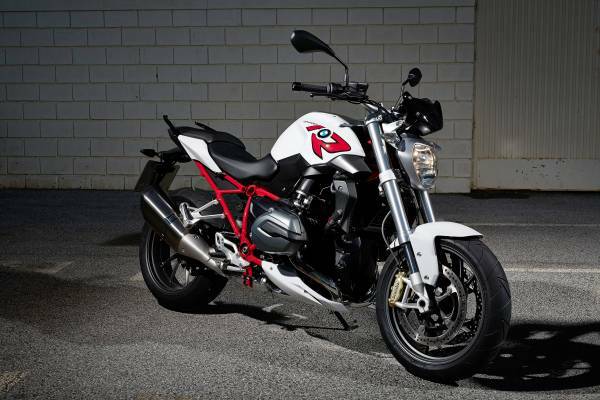 There’s also a stainless steel tank cover, LED indicators, a cheeky spoiler and the fancy looking red and white paint. This is the one we’re looking forward to riding most of all. Finally there’s the R1200R Exclusive. This is the top spec, £11910 version and is comprehensively packed with long range focussed goodies. Cruise control , fancy pants dynamic suspension, a centre stand, luggage rack and pannier mounting lugs all help this version stand out as being the one you’d want to take with you on a ling trip. On paper at least they all appear to offer a lot of bike for the money. Keep an eye out on Tuesday evening for the full launch report and follow @Johnatsuperbike for childish tweets from the launch. 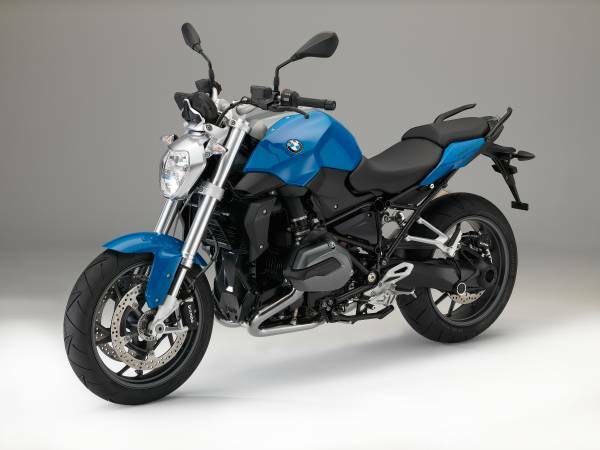 Click this way for official BMW news on this bike and the rest of the BMW fleet.